The Hut Group is a British e-commerce company who operate over 100 international websites, selling premium Fast-moving consumer goods. It is one of the most valuable private companies in the UK. 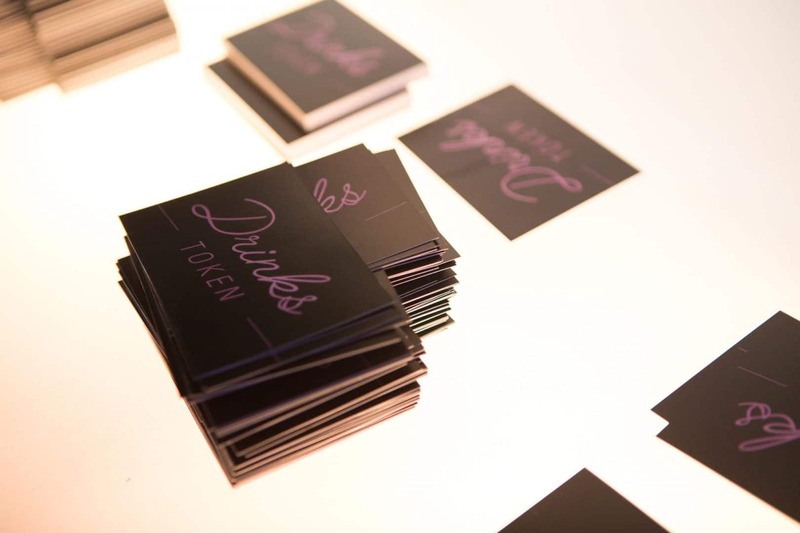 As the company had grown significantly within the last 12 months, they’d run out of venues in their local area that would house their full company event. With only a couple of months to plan, we were asked to create a space for 1000 delegates for a business update conference. 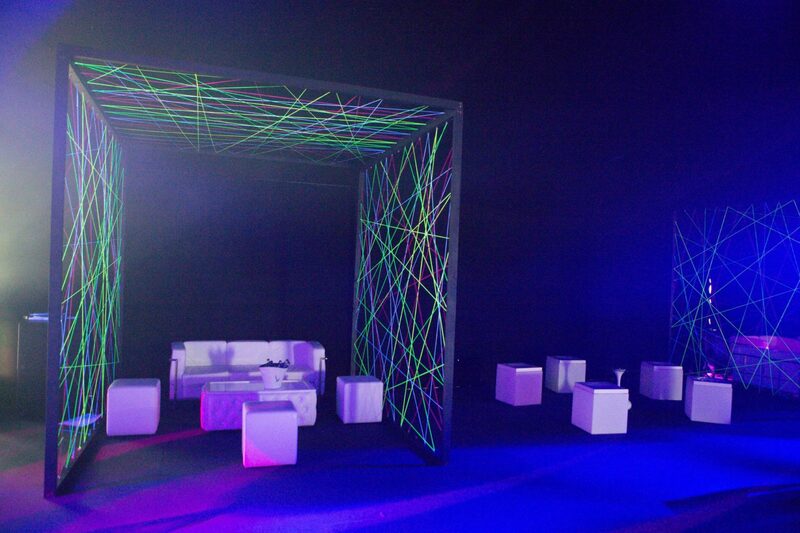 With a very tight two-hour turnaround after the conference, we needed to then utilise the same space to hold an evening party. We were given a fixed budget to work to. As there were no suitable events spaces in the local area, we proposed a large 40x 25m marquee to be constructed on one of the company’s grounds. 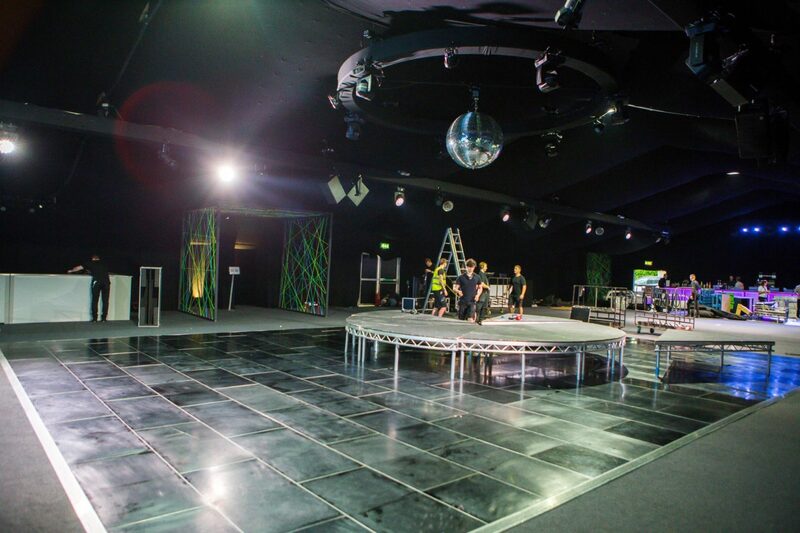 Make Events managed the full install of the marquee and all the subcontractors involved in the two week install and de-rig. We managed all legislation, permits and health and safety. 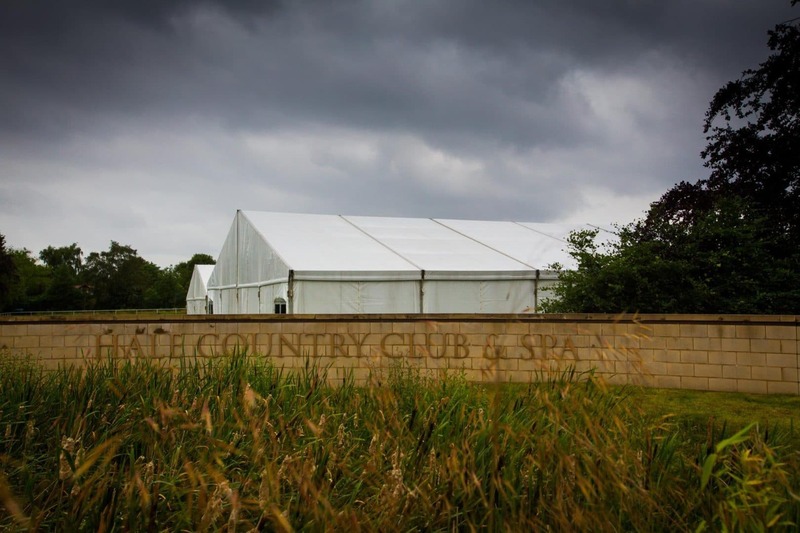 As the marquee was erected on the grounds of the Hale Country Club which is a prestigious private members club we had to be very mindful that the facilities were open to members during this time and all load ins and deliveries had to be managed around this. To enable us to turn the conference to a party in a two-hour period, all the furniture and stage set had to be considered. 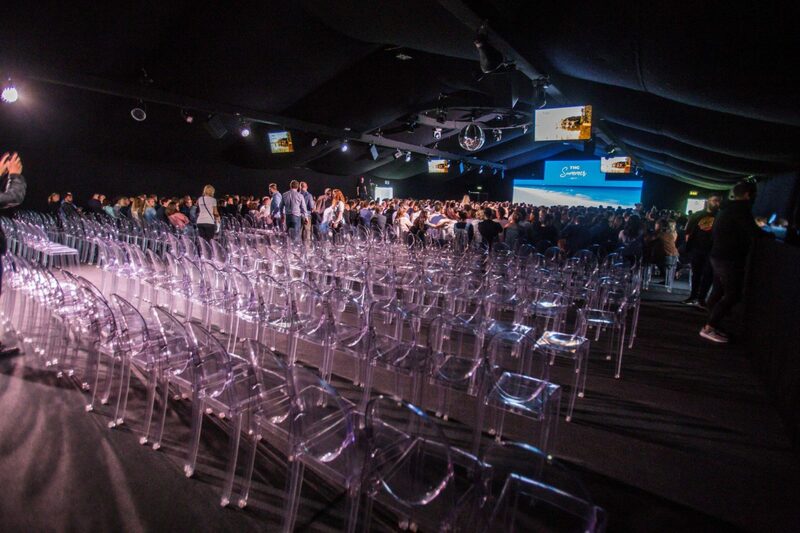 As the audience entered the marquee, the look and feel was a black box with pumping music and lighting with rows of a 1000 acrylic ghost chairs, not only did these look modern but they were light and easy to move quickly. We installed a large LED backdrop for the conference content, creating the perfect backdrop for the MDs presentation. This was then later utilised for themed content for the evening event. The evening design was neon noir – a theme that felt exclusive and would appeal to a majority millennial audience. 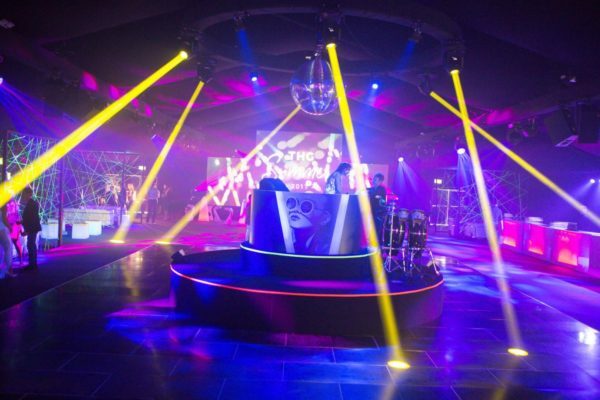 We wanted to create a grown-up nightclub experience. 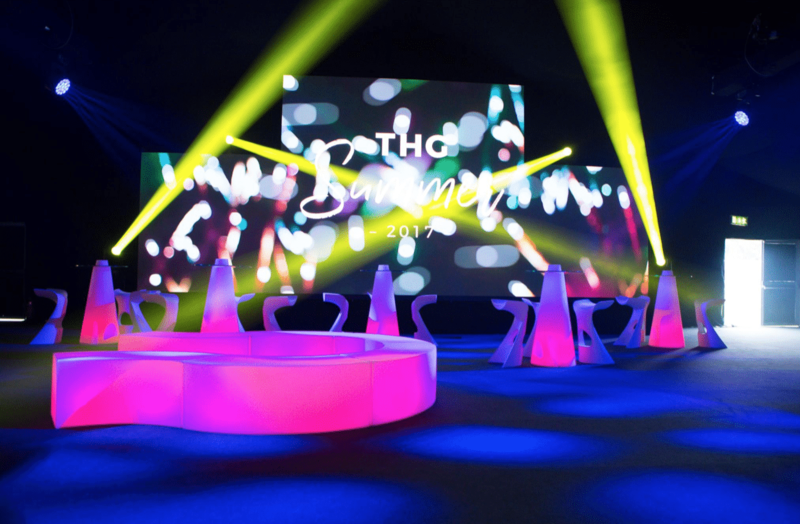 We met this challenge by stripping back the marquee after the conference and resetting it with bespoke furniture including neon webbed alcove frames for seating areas; a branded circular stage and DJ booth in the middle of the dance-floor; neon and white leather furniture and full lighting, sound and vision production. As we only had a two-hour period to transform this space much of this décor was built off site in advance for easy load in. Music was really important to the client to set the tone for the evening. 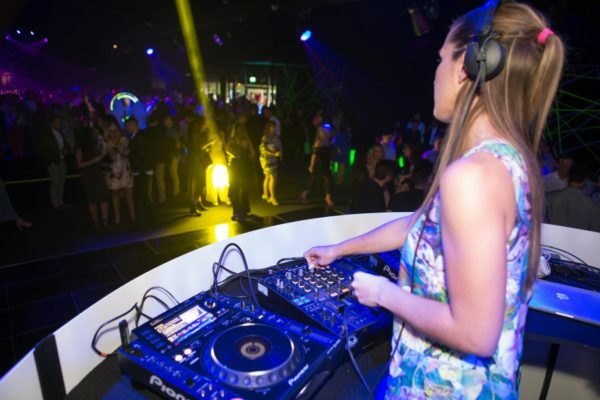 We contracted an all female live DJ band with percussion, vocal, violinist and sax to generate the upbeat Ibiza soundtrack. To support the music, we worked with roaming entertainment acts that could bring the glamour and neon noir theme to life, with LED dancers, LED hula hoop, LED poi and costumed hostesses. This ensured that there was a constant stream of entertainment throughout the night to wow guests. 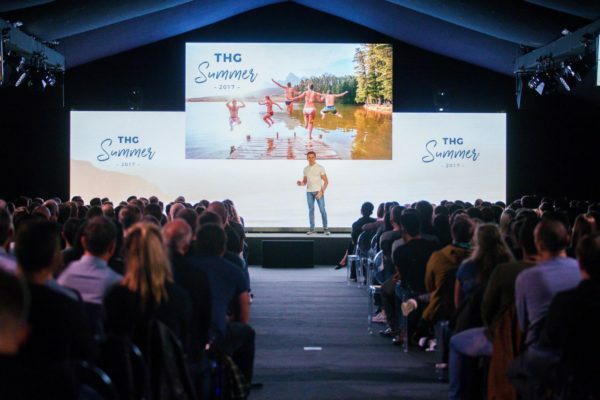 My Protein is one of the brands The Hut Group own – with that in mind we designed a menu that would work perfectly for this audience and satisfy their hungry appetites and macros! A constant flow of pan Asian inspired canapés was essential, as well as something simple that fitted easily into one hand (whilst holding a drink in the other!) These included cajun prawns with a remoulade dip, green papaya and lemongrass salad with Chicken and seared halloumi. 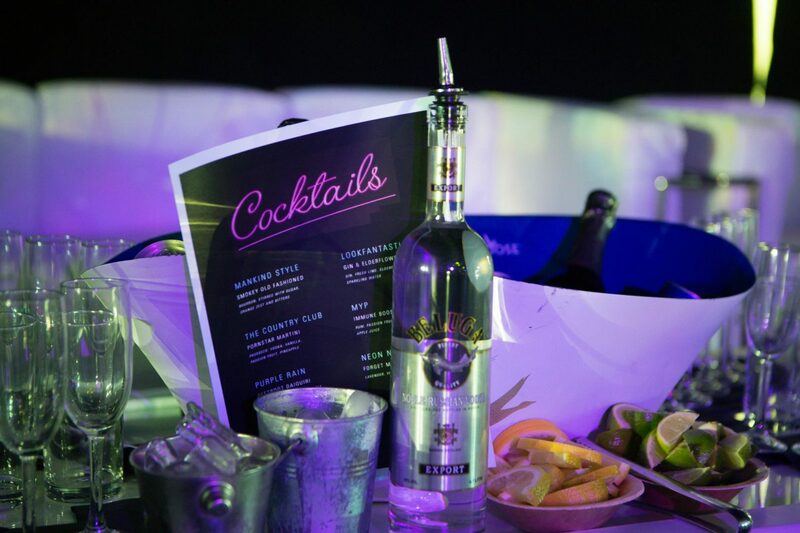 We also felt it important to offer a selection of healthy cocktails for their more health-conscious staff and created some bespoke drinks that would complement the menu selection. These included ‘The Immune Booster’ with rum, passion fruit, pineapple and apple juice, and ‘The Beetroot Daiquiri, including vodka, ginger, beetroot and apple. 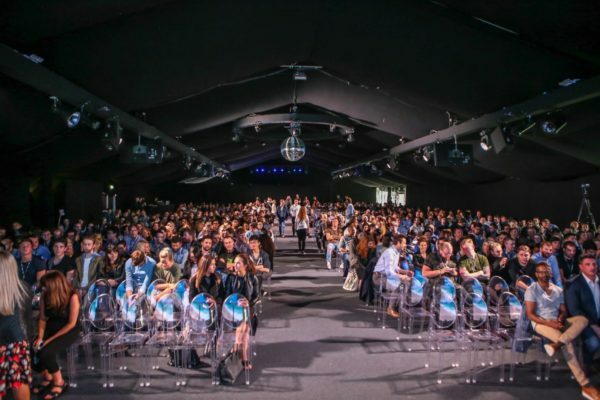 The event was a major success – not only did we manage to turn everything around for the evening event with time to spare, but everyone had an amazing time. The food went down a storm; the bar was busy all night; and we had to stop people climbing on stage to join the band they loved them that much! Our client was over the moon with how everything went…and has already thought ahead to next year’s summer party!